Enjoy your spring break in the all-new 2019 Chrysler Pacifica! 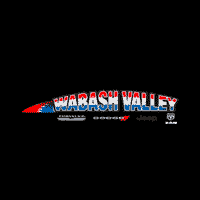 Visit Wabash Valley Chrysler during the Chrysler Spring Sales Event and save thousands. Why break the bank? This is the perfect opportunity for you to find the savings you’ve been looking for. To learn more about financing options visit our dealership today, we’re happy to serve you. Serving Marion, Indiana.